You may know us only for our brands, like Glade®, Raid®, Windex® and Ziploc®. And that is great, because we love being part of your home! But you might be interested to know about our home, too. 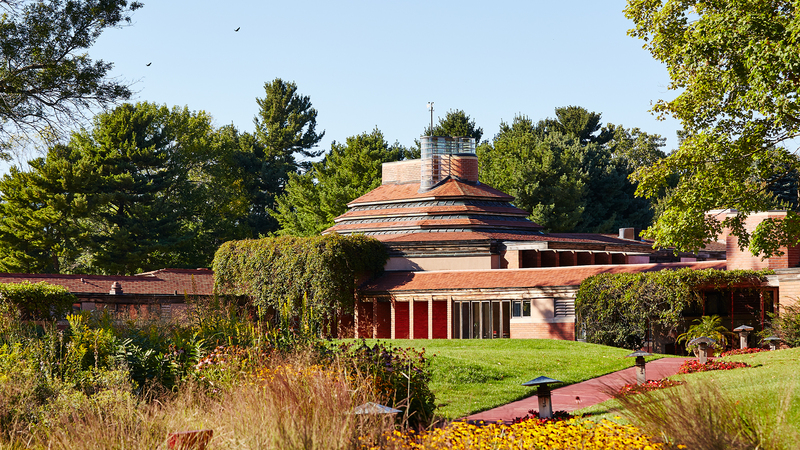 Located in Racine, Wisconsin, SC Johnson has the only remaining Frank Lloyd Wright-designed corporate headquarters that is still in use. 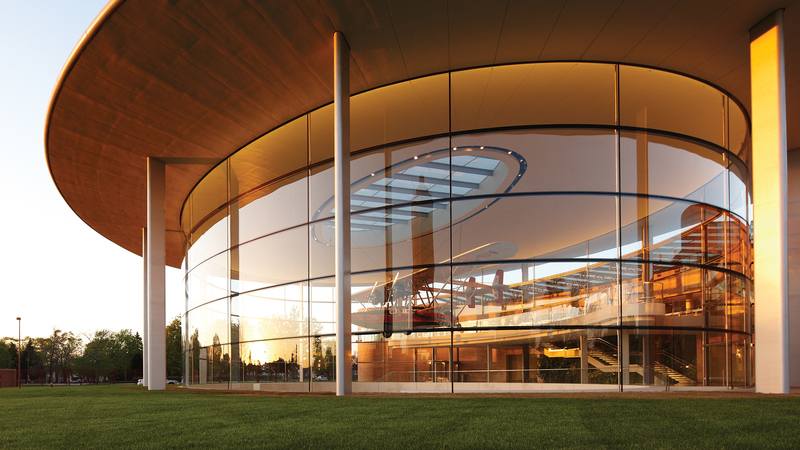 We also have an award-winning Foster + Partners-designed building, a gallery featuring Frank Lloyd Wright-focused exhibits, acclaimed films, and a replica twin-engine S-28 amphibian plane with a story that will touch your heart. Come see it all for yourself. We love to show visitors around our architecture and campus. Tours run most years from March through December. Film showings of the Academy Award-winning documentary To Be Alive! and the acclaimed Carnaúba: A Son’s Memoir at The Golden Rondelle Theatre. SC Johnson tours begin at The Golden Rondelle Theatre, at 1525 Howe Street, Racine, Wisconsin, 53403. See map. By car: From southbound I-94 and northbound I-94: Take I-94 exit 333 heading east on Highway 20 (Washington Avenue) for approximately eight miles. Veer to the right when Highway 20 splits off at 14th Street. Go over the train tracks and through the intersection of 14th Street and Highway 32. The Golden Rondelle Theatre is one block ahead on the right. We offer free parking on the east side of The Golden Rondelle Theatre. 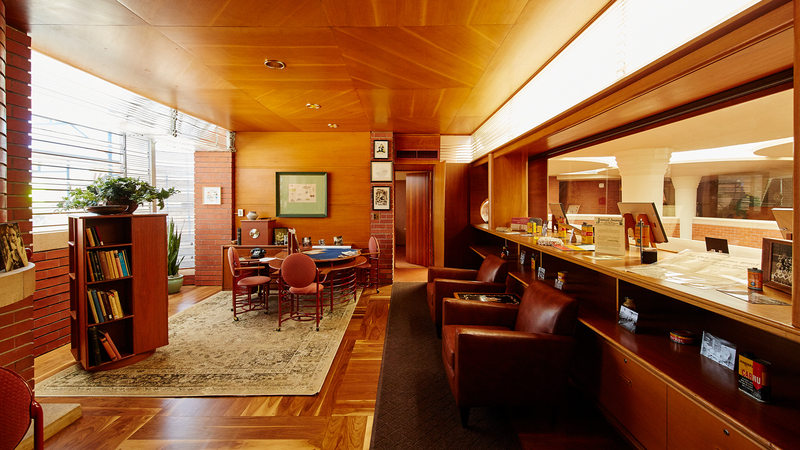 Get an in-depth look at the only Frank Lloyd Wright-designed corporate headquarters that is still in use. We’d love to welcome you to our home in Racine, Wisconsin. Wheelchair-accessible elevators are available in Fortaleza Hall. The Golden Rondelle Theatre and Fortaleza Hall are both walker and wheelchair accessible. The main floor of the Great Workroom is accessible via ramp. Children are welcome, but parents should note that the tours are intended primarily for adults. We will be outside and inside, standing and climbing stairs. The campus is stroller-friendly, with the exception of The Gallery. To protect and preserve the buildings, artefacts, designs and objects that you will see on the tour, food and drinks are prohibited. 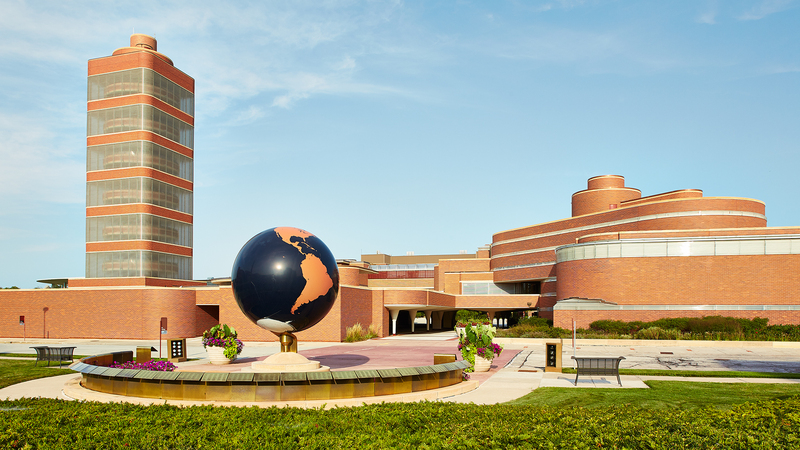 The Golden Rondelle Theatre sits at the entrance to our global headquarters campus. 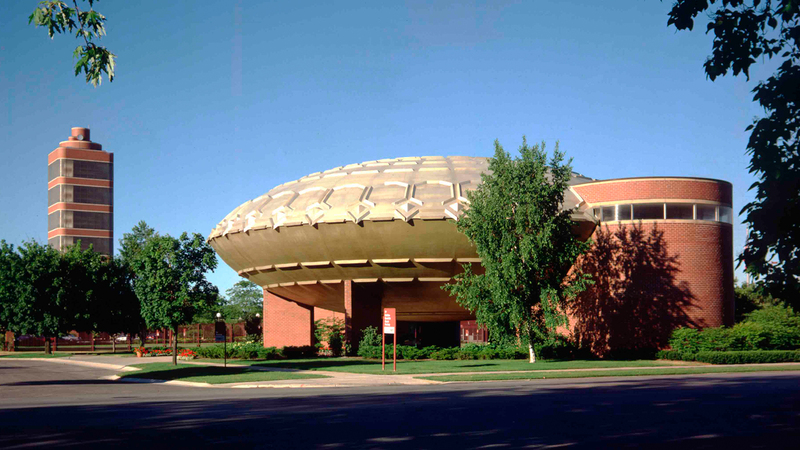 Our tours begin in The Golden Rondelle Theatre, on our historic campus in Racine, Wisconsin. Schedule a visit to Wingspread, too. We look forward to seeing you.